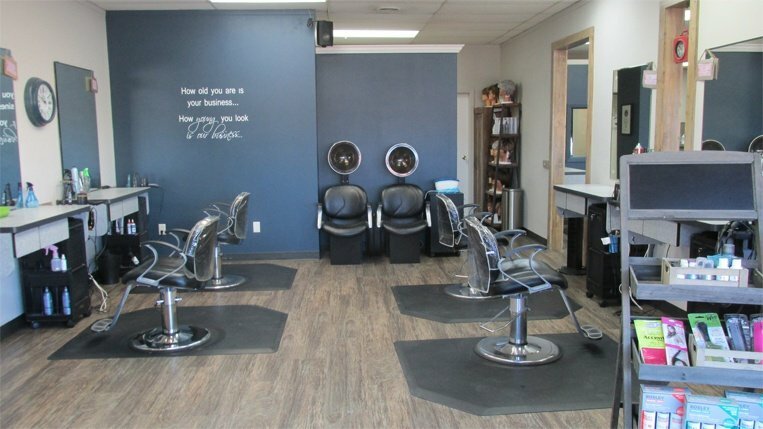 Adam And Eve Styling Salon And Wig Center in Aberdeen, SD does haircutting and styling plus many additional salon services. *All prices are base prices and may vary based on technician. Tax not included. Relax and enjoy a hand and lower arm massage while we groom your nails and cuticles. Finish with a moisturizing Aroma paraffin treatment. 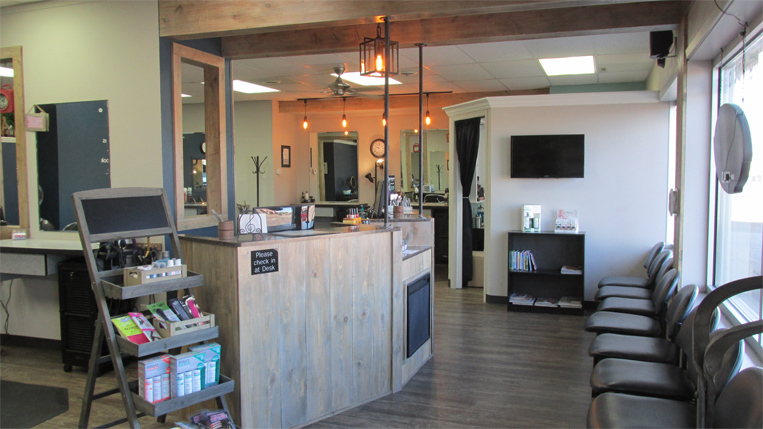 Relax while we remove your polish, shape your nails, and groom cuticles. Finish with a mini hand massage. Enjoy all the benefits of a Basic Manicure, then sit back and relax while we hydrate your lower arms and hands with a lotion application followed by a massage. 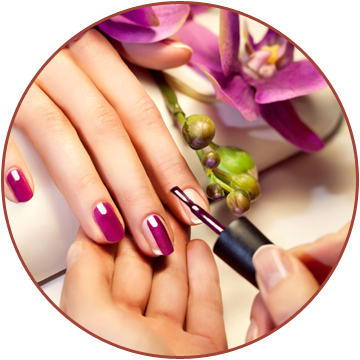 Finish your manicure with an Aroma paraffin waxing treatment and polish of your choice. 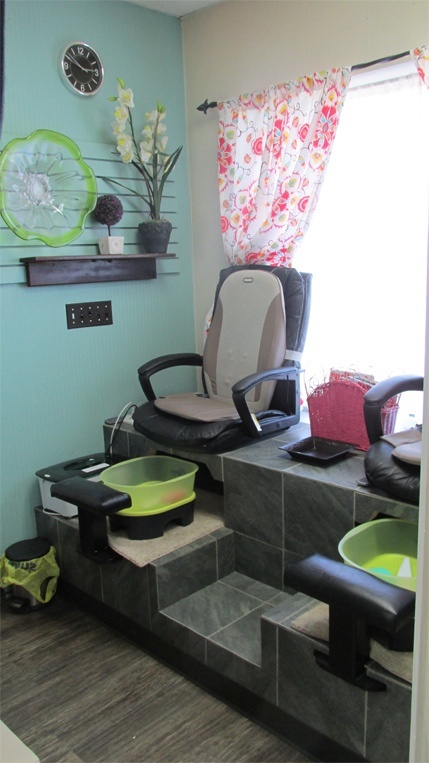 Relax in a private pedicure room while your feet get softened and rejuvenated. Enjoy as we smooth toe edges, groom cuticles, and remove and soften calluses with an exfoliating pomegranate scrub. Finish and enjoy the moisture lotion massage on lower leg and feet. Relax in our massage chair while we remove polish, shape toenails and groom cuticles. Finish with a relaxing lotion application. Enjoy all of the benefits of the Mini pedicure plus the added experience of our pomegranate exfoliation to soften your feet while we remove any calluses. Sit back and relax while receiving a lower leg and foot massage. Finish your pedicure with a polish of your choice. This session begins with a relaxing foot bath, followed by exfoliation of dry skin, buffed calluses, treatment of cuticles and nails. Enjoy a soothing foot and leg massage followed by a paraffin treatment with vitamins and oils. Finish with a beautiful polish for the toes. This treatment will nourish and smooth feet leaving them soft and like new. Choose from any polish color and we will remove your old polish and make your nails look beautiful again. Add French polish to any manicure or pedicure for an additional charge. Choose from a variety of nail art to add to your manicure or pedicure for an additional charge. Need extra moisture for your hands or feet? This treatment will calm your dry hands and feet in a matter of a few moments. Featuring Shellac! Shellac is a gel that wont damage the nail, emits no harmful fumes or chemicals, and lasts up to two weeks without chipping! Shellac leaves you with beautifully natural, smooth, and shiny nails. 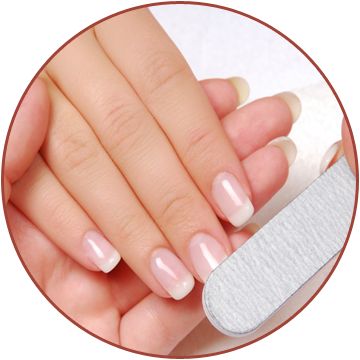 We will remove your shellac polish gently and easily by wrapping fingers with integrated cotton pad that limits fingers and skin exposure to acetone by pinpointing on just the nail. Body massage is manipulating and kneading of the body’s tissues, muscles and joints. It relieves stress and muscle tension and stiffness. Massage therapy improves circulation of the blood and the movement of the lymph fluids. It helps to release toxins while making the muscles and joints more flexible. Enjoy relaxation in a calm, soothing environment. Release tension and relax muscles throughout the body with soothing heated stones. A luxurious, relaxing cleansing of facial tissue. Removes dead cells, make- up and debris, lubricates skin & relieves dryness leaving fresh new skin. Slows down the aging process and helps regenerate the collagen & elastin tissues. Warm moist towels, aromatherapy, exfoliating masks and facial massage combine to provide a deep total body relaxation experience. In addition to a therapeutic facial, a high speed cleansing brush gives a deep exfoliation to the facial tissues. Next, clinical care products and steam are used to unclog pores and remove blackheads. A facial vacuum then assists in removing any residue from pores. 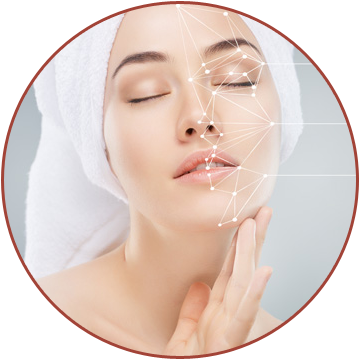 Lastly, a high frequency probe is used to eliminate toxins and acne causing bacteria, shrink pores, and fade stubborn acne marks leaving your skin clean, fresh, and rejuvenated. 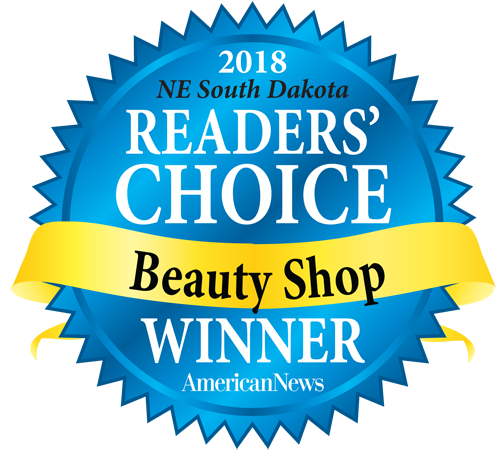 Enjoy a scalp and arm massage while we use our clinical skin care products and masks to eliminate bacteria, exfoliate, and hydrate your dry, oily, or acne prone skin. Includes full cleansing of the skin, a facial toning treatment and intensive resurfacing peel. 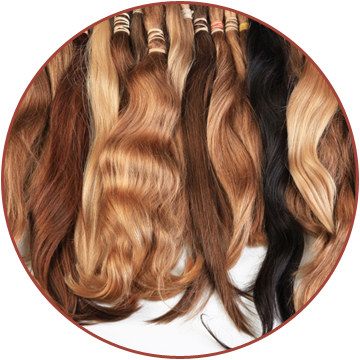 Lox are made from 100% human hair that delivers the finest quality in extensions worldwide. Lox are seamless, weightless, and traceless. We offer three different applications: Lox for Length, Lox for Lots and Lox for Lights. 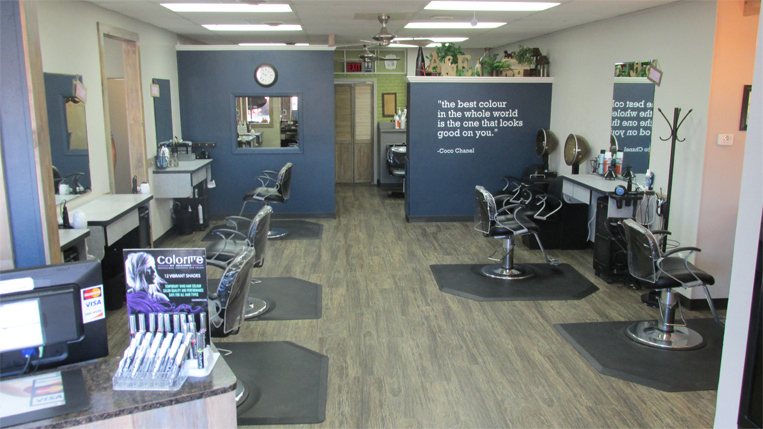 We also offer hair systems, wigs, and hair pieces for men and women. The men's systems include Concise and New Man. We provide private wig and hair system fittings. 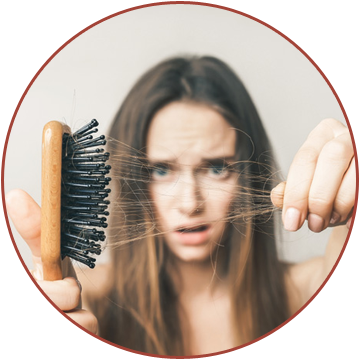 We carry the most famous and trusted brands including Raquel Welch, Eva Gabor, Wig Pro, Revlon, and Tony of Beverly, among many more. 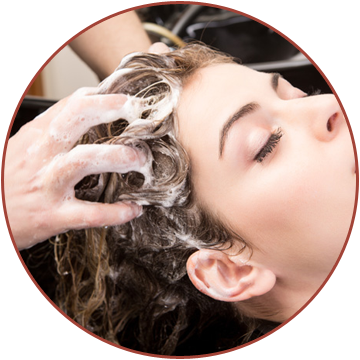 A facial for the scalp, with exfoliates and removes fatty acids, sebum and other skin cells.